The Titan surface mount double Ultimate Screen Door with genuine Meshtec screen provides a full view, maximum air flow, AND unsurpassed security. 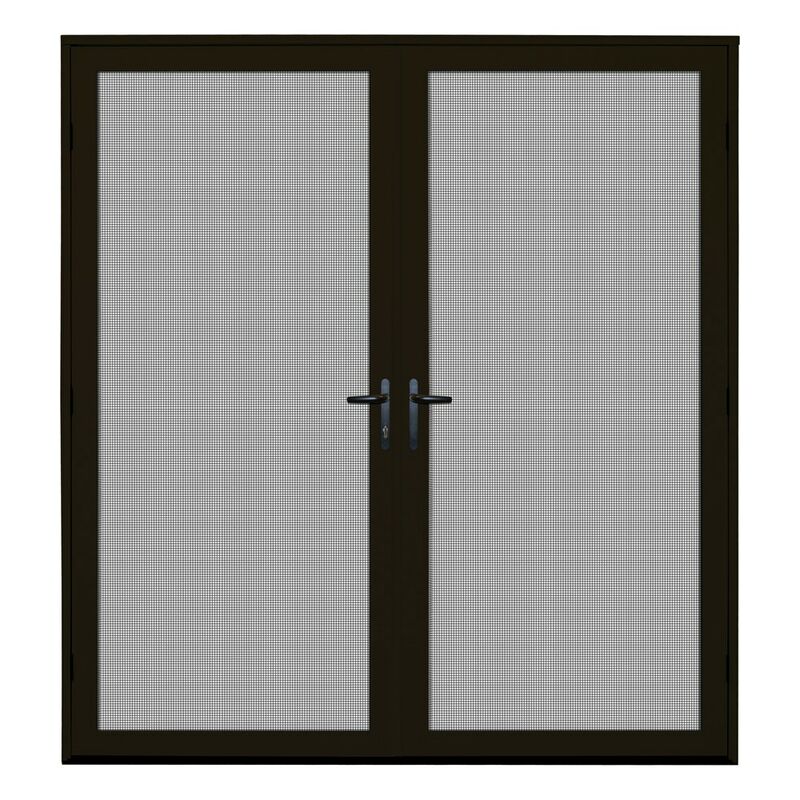 The high tensile-strength, woven, stainless steel mesh screen combines the visibility and ventilation of a screen door with the strength and durability of a security door. The patented screen system ensures that the screen material is completely flat, tight, and secure in the frame. A heavy-duty, aluminum frame combined with the three-point vault locking system keeps your home protected from unwanted intruders, while common mounting screws combine with security snap covers to create a simple, sleek, and secure installation. The Meshtec screen stands up to scratching and clawing for the ultimate in pet friendly protection. Surface mount security doors are typically affixed to the surface of flat entryway trim and fit most standard sized 64 in. x 80 in. entry doors. Some applications may require a build out. For additional information, review the installation instructions. Reversible for left or right-active door applications. The overall dimensions of the door including the frame are 67.673 in. x 81 in. For fit range information, review the how to measure instructions. 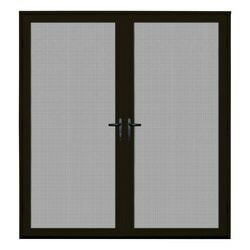 The double door includes 2 single doors and a double door kit and will arrive in 3 boxes.